Choose from a variety of dining options. 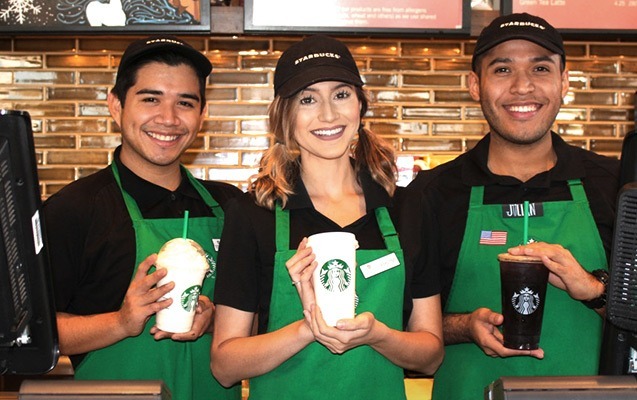 Enjoy our full-service Starbucks at the Start of your Tour, located in the Tour Welcome Center, from 8:30 am to 5:00 pm. Stop by the Warner Bros. Studio Plaza Café for breakfast, lunch, and beverages, the cafe is open Monday through Friday from 8:00 am to 2:30 pm. Visit the working replica of TV’s favorite coffee shop, located in Stage 48: Script to Screen. Sip on a cup of joe and grab a bite to eat from the place where your best sitcom friends once hung out. Grab a souvenir bag of branded Central Perk coffee to take home. Central Perk offers a variety of Sandwiches, Salads, Pizza, Grilled Cheese, Hot Dogs and a wide selection of bakery goods.